Flovilla, which means Village of Flowers, was incorporated in 1885, and is ideally located in central Georgia, in the Southern section of Butts County. It is approximately 50 miles South of Atlanta and 40 miles north of Macon. 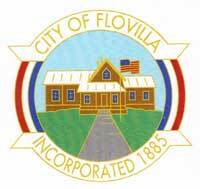 With approximately 650 citizens, Flovilla is a quiet community full of Southern Charm. Flovilla is historically known for the Flovilla & Indian Springs Railway, which was an interurban railway line between Flovilla and Indian Springs. Flovilla was located along the main line of the East Tennessee, Virginia, and Georgia RailRoad and there was a need to transport passengers from Flovilla to Indian Springs. This railroad was built in 1888 and had the distinction of being the shortest incorporated railroad in the world. Horses were initially used as power for the railway, but were later replaced by steam. The steam engine was known to many as the “Dummy” and was one of the most colorful trains in the entire state’s history. The Flovilla School House is another historical portion of Flovilla. Established in 1885, the Flovilla School was one of four schools within the Indian Springs District. The other three schools were Indian Springs, Rock Creek, and Mt. Vernon. Flovilla School was established by several men within the community. The school was supported by charging $1.00 for student tuition each month. The high school was discontinued in 1920 when high school students were transferred to Jackson High School and the elementary school was discontinued in 1932 and students were transferred to Indian Springs School. The Flovilla School House is currently leased by the Butts County Historical Society and has been undergoing renovations for the past several years. Inside the school room of the building you can still find the old pot belly stove that was used to heat both students and food and the original desks that were used by the students. There are also several old school books, notebooks, and other memorabilia from the students who attended the Flovilla School. There were two devastating fires to occur in the City of Flovilla. One in 1907, which destroyed half of one block that consisted of a drug store, the Post Office, and a general store. These were later replaced by concrete structures. The second fire occurred in 1923, which resulted in the loss of 18 stores. This fire is said to have started in the blacksmith shop. The City Hall and the City Jail were completely destroyed in this fire.